This article originally appeared on the AWAL blog. A great majority of artists in 2017 are involved in every aspect of their business in order to maintain brand consistency and make sure that they have a say in how their music is received and interpreted by the public audience, so it’s important for an artist to make sure they surround themselves with the most suitable people for the job. What we will be tackling today is the key members of a successful artist team today. Below are the seven different team members every growing artist should consider welcoming to their family, one by one. Your manager should be your right hand, bad cop, firm-whilst-easygoing negotiator, and tough-love-giving parent set to guide you through the musical-career waters that are now your life. Managers know the ins and outs of the music business and should be the first building block in your team, mainly because they can help you wrangle the rest of it. They are the ones who should have pre-existing relationships with agencies, publicists and/or publications and writers, lawyers, distributors, and more and should be able to understand your vision to a point where they are able to negotiate deals and build your brand on your behalf entirely. Your manager should be by your side in anything from helping you build your logo and aesthetic to pitching you for large brand partnerships — and though you, as an artist, will always make the final call, their substantive opinion and careful guidance should be taken seriously. As mentioned in the intro, a musician should be much more focused creatively/musically rather than business-oriented, so leave that stuff to the managers. A music agent’s full-time job is to pitch and negotiate live show deals on your behalf. They are pros at helping curate lineups at shows and festivals and should have relationships with local promoters and venues to work in your favor. Having an agent is essential to getting booked for shows, particularly in the US, where personal managers are, for all intent and purposes, forbidden from procuring employment for their artists. (Therefore, it is left to the agent, who is required to have a license.) In the UK and elsewhere in the world, managers do often also work on behalf of the artist to secure bookings. Agents also help with the grunt work of routing a tour, like advancing gigs, booking flights, and creating itineraries for the team. It may seem easy to do on your own, but having an expert get you the best deal(s) and hand them to you on a silver platter seems much more appealing than having to break your artistic “character” to ask a promoter what the venue capacity is and ticket cost per person on any given night to haggle your gig fee. Get an agent. How are fans going to learn about your music if they never come across your name? That’s where a publicist comes in. Publicists are content strategists and brand builders. They can take your story and pitch it, along with your musical content, to writers and publications that have an audience your message will resonate with. Publicists also often work with photographers and videographers to help create promotional content on your behalf, which is necessary for social media, press, and promotional items for upcoming shows or releases. Basically, publicists know exactly when and how to stir up buzz about your career happenings — which is often difficult to do introspectively when talking about yourself — so as soon as you can afford to, find one. The fruits a good publicist can help bring your way! Radio isn’t dead yet, and you can always find a new fan in someone who hears your song by chance. Having a company or person around who specifically works with music directors at local radio stations is a great benefit to get your music heard by an extremely wide audience. A radio plugger may work not only with local stations to get one of your tracks on a steady rotation, but also with podcast hosts, YouTube channel stars, and other key influencers in your scene who have a demographical following complementary to your own. Many PR companies have in-house or third-party radio pluggers they like to use, but just know that this role is an important one to have on your team to reach a greater audience altogether. It’s impossible for the layman to collect royalties every time your song is performed or synced — which is why we have music publishers. A publisher is necessary to not only spread the word about your music, but also to use software algorithms to collect royalties from wherever your music is heard on your behalf and pass them through performance-rights organizations like ASCAP, BMI, and SESAC. A publisher such as Kobalt even works to offer creative support and find places to sync your music in TV, movies, and ads, while providing comprehensive reports of all music sales, downloads, and those obtained sync placements. While AWAL doesn’t offer publishing as part of our standard agreements, as a Kobalt company, all members have the potential to grow with Kobalt’s other music services: music publishing, recordings, and neighbouring rights. It’s safe to say that no matter what your career is, it pays to befriend a good lawyer. At minimum, an entertainment lawyer specializes in creating and reviewing contracts for you and your newfound team members. They are your eyes and your translator when navigating through any and all contracts you sign to ensure your best interest is at heart. Furthermore, your lawyer can help protect your intellectual property and also ensures you’ve earned and collected all the revenues and royalties you deserve. If you notice anything suspicious regarding your relationships with others or the money you’re making, having a lawyer around is the best way to either settle your nerves or take action to right any wrongs. Unless you want to manually upload your mp3 files to dozens of music-streaming websites (which is generally not even permitted), you should look into signing with a music distributor or aggregator. This final and essential team member (or company) can and will deliver your release to hundreds of digital stores and services around the world, helping to connect your music with tons of new fans. AWAL, for example, delivers music to over 198 countries around the world, and tracks all delivery dates and royalty income. Many streaming services only accept music submissions from a select number of big distributors, so do your research and select a distributor that can distribute to your top choice platforms. 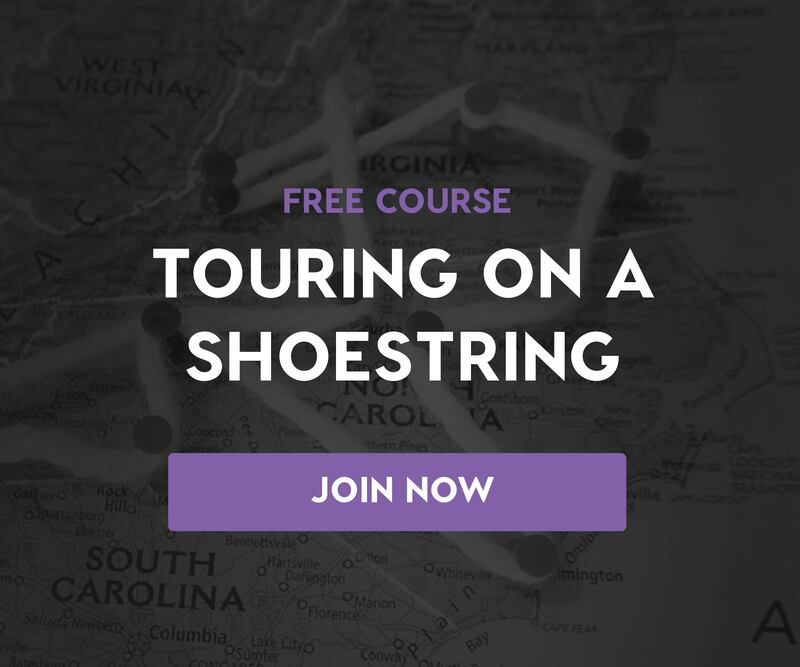 Take the next steps in advancing your music career with Soundfly’s curated Hustle series of articles and popular online course offerings on topics like how to book a tour on a shoestring, how to get all the royalties you never knew existed, and how to let your fans fund your next music project! A native New Yorker and graduate of NYU’s Journalism program with a dual-degree in Psychology, Sara Wass has written and photojournalistic pieces have since been featured in VICE, The Wall Street Journal, TIME Magazine, The Huffington Post, ArtNet, Buzzfeed, Bedford + Bowery, Raver Rafting and more.